Martha's Vineyard is one of the most sought after destination wedding locations in the country. Surrounded by pristine beaches, lighthouse backdrops and country setting options, the Vineyard has a little something for everyone. There are two things that guests remember the most after a wedding: the music and the food. Sweet Bites is here for all of your sweet and savory catering needs. We take the stress out of the catering and cake ordering process for you! Book your cake tasting with us today! We specialize in all things "celebrations"! Whether you have a corporate, nonprofit, retreat or birthday party planned, Sweet Bites can take care of all of your delicious needs regardless of the size of your event. Please contact us for an event quote and we will help you start preparing for your next big (or small) soiree. 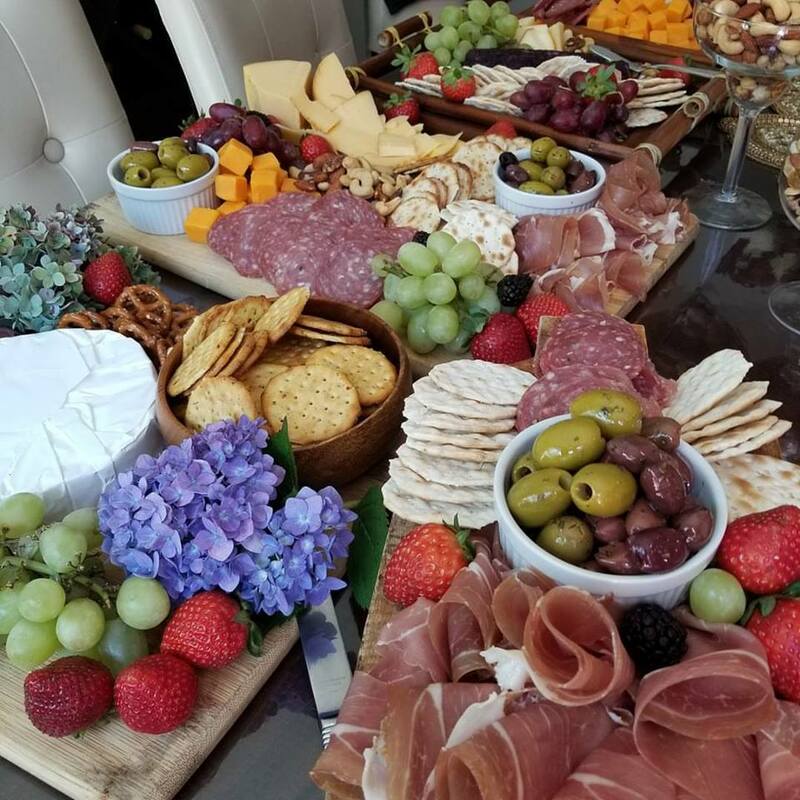 Party Platters, BBQ's, Clambakes, Brazilian Fare and more! We will customize your menu from appetizers to after-dinner eats and elegant sweet tables. Reserve The Sweet Bites Patio! Did you know that you can reserve our covered outdoor patio for private events? Perfect for intimate events with up to 25-30 people. Everything from business gatherings to family celebrations, our patio transitions beautifully from sunny afternoons to twinkling lighted evening events. Contact us today to learn more about how you can have your next gathering on The Sweet Bites Patio!